This October’s inaugural U20 Summit offers cities the opportunity to raise the profile of urban policy issues just in advance of the G20. For the U20 to be successful, city leaders must be intentional about finding policy solutions that span scales and levels of government, include a dedicated urban focus, coordinate among cities globally on key issues, and remain context-specific. On October 29-30 of this year, leaders from the twenty largest nations (the Group of Twenty or G20), including heads of state and central bank officers, will gather in Buenos Aires, Argentina, for their annual conference. 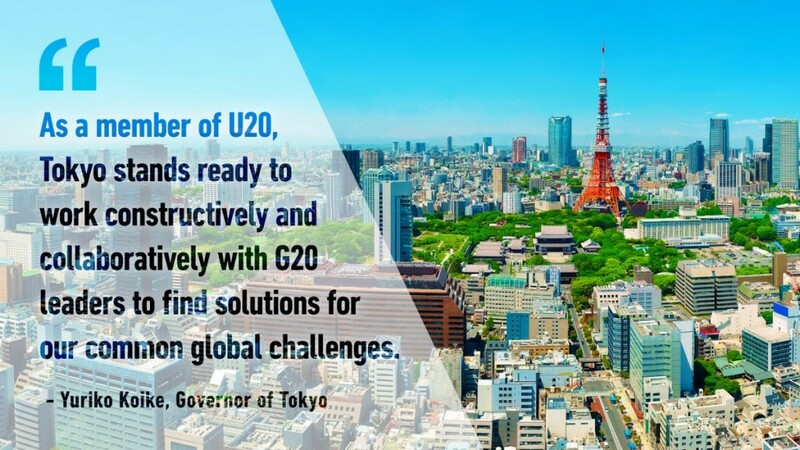 This year, the inaugural Urban20 (U20) summit will take place alongside the G20. 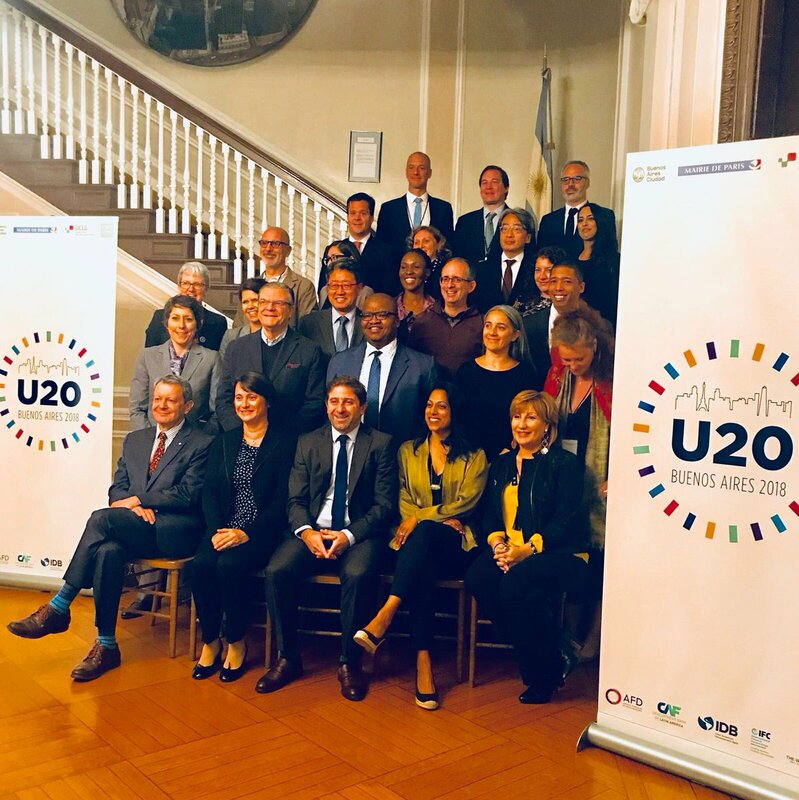 Co-chaired by Mayors Horacio Rodriguez Larreta of Buenos Aires and Anne Hidalgo of Paris, the U20 “seeks to raise the profile of urban issues on the G20 agenda”. Members include first-tier cities such as Beijing, Berlin, New York City, Chicago, Johannesburg, Rome, and Tokyo. In an era marked by rising inequality, rapid urbanization, and authoritarian populism, the U20 offers global city leaders a tremendous opportunity to engage national governments. Through fora like the U20, subnational governments can work with national governments to advance policy initiatives on issues like social integration and inequality, and can ensure that policy solutions include an “urban lens.” Preparations for the U20 have already brought together diverse multilateral and civil-society groups like C40 Cities, United Cities and Local Governments (UCLG), UNHabitat, and the Global Platform on the Right to the City. For the U20 forum to most effectively advance urban policy, and for G20 heads of state to take these urban leaders most seriously, the U20 forum must emerge with concrete recommendations and present a long-term, coherent policy vision. Informed by work with the Organization for Economic Cooperation and Development (OECD)’s Centre for Entrepreneurship, SMEs, Regions and Cities division, a U20 supporting institution, this author recommends that U20 leaders align their recommendations in the following ways. Today’s multi-sector urban-governance models (such as public-private partnerships, collaborations between regional development and planning associations, and key relationships between governments and civic engagement nonprofits) may bring more stakeholders “to the table” of democratic decision making. However, they may also render decision-making more complex and opaque. The U20 can serve as a forum for discussing when and under what conditions multi-sector collaborations work, and when they do not. At the same time, the U20 can bring on board academic partners, think tanks, and research nonprofits to help foster understanding about what impacts different urban-governance approaches have on participatory democracy, economic and political inequality, and the provision of goods and services. Innovative governance experiments are underway across the globe. Kenya’s Council of Governors has experimented with devolution by creating a new level of government. In particular, it has established 47 new counties with legislative and executive functions akin to both cities and national governments – effectively creating a third, mid-sized, layer of government. In Colombia, the Cali Economic Development Corporation is working to establish a Plan of the Territory (POT) that aspires to social and economic cohesion at a regional level. As Luis Eslava notes in his book Local Space, Global Life, the POTs are “crucial for the decentralization of development in Colombia”. POTs provide a way for governments to manage development processes not just in one city or village, but in an entire territory. At the Urban20, countries can share and compare experiments with multi-sector governance and (de)centralization at different scales. The U20 forum also provides an opportunity for city leaders to encourage national governments to prioritize urban policy. In doing so, U20 leaders ought to make clear for large national governments that urban issues, while multi-dimensional, are rooted in specific places, where city governments may have comparatively better expertise. National and city governments should identify and explore policies that can be carried out at the national level – yet within a “National Urban Policy” framework. National Urban Policy (NUP) has been recognized by the international community, at Habitat III, as an essential policy instrument for harnessing the dynamics of urbanization in order to achieve national and global goals. An example is Mexico’s National Urban Development Program, a Strategic document of the national government that sets national objectives, strategies and priorities for inclusive urban development and serves as a primary reference authority to subnational governments. The Organization for Economic Cooperation and Development (OECD) has led the way on measuring and comparing such a framework, and encouraged inclusion of local leaders as national governments implement NUPs. These actions are concentrated along five main pillars: money, place, people, connections, and institutions. Nonetheless, according to a forthcoming UN-Habitat Global State of NUP report, only 11% of countries globally have successfully implemented a NUP. Above all, national and city administrations must align their objectives towards a shared vision of what needs to be done in cities, and then coordinate and enact this vision at the local and national levels. City governments present at the U20 ought to ensure that their policy frameworks for certain policy issues are coordinated across cities. We know, for instance, that rates of inequality can be more pronounced in some large cities than in rural areas, and that cities account for a large majority of greenhouse gas emissions, especially in rapidly emerging economies. City-specific strategies can ameliorate these policy concerns and engage urban contexts. In other words, cities can and should encourage each other to contribute to solving problems to which they (cities) disproportionately contribute. Moreover, city leaders can build momentum across coalitions of likeminded and similarly-affected populations and groups. The U20 is an opportunity for some of the world’s first-tier cities to share best practices relating to urban inequality and governance. But policy solutions proposed by the U20 should not be monolithic. They should differ across countries, and across city and local contexts. Regions, cities, towns, and villages have particular policy needs requiring flexible, localized responses. At the same time, even though policies like fiscal equalization – the transfer of fiscal resources across jurisdictions with the aim of offsetting differences in jurisdictions’ revenue-raising capacities—have the potential to help equalize economic growth, achieving equality of opportunity requires more context-specific solutions, as well. Specific places may also need interventions targeting education, human capital, infrastructure, and public services in order to facilitate comprehensive economic development and expand urban residents’ life opportunities. Both structural and more targeted interventions, decided upon and enacted by different levels of government, are crucial for positive outcomes. Overall, the U20 forum offers city leaders an opportunity to engage their G20 counterparts in high-impact collaboration. To be most effective, this agenda must engage different sectors and levels of government; emphasize an “urban lens” to national policy; ensure cities coordinate on key issues such as economic growth, inequality, and climate change; and attend to local needs. The U20 must also engage urban civil-society stakeholders, academics, and practitioners. If done right, this year’s U20 can set the stage for robust and sustained engagement around city and metropolitan issues for years to come. With cities and mayors increasingly leading on our most vexing policy issues, we may soon be as interested in what happens at the U20 as we are in the G20. Stefan Norgaard is a Master in Public Policy candidate at the Harvard Kennedy School, where he serves as Managing Editor for the Kennedy School Review, a Research Associate with the Bloomberg Harvard City Leadership Initiative, and a Course Coach for two of Professor Brian Mandell’s intensive experiential learning courses: Fundamentals of Negotiation Analysis and Advanced Workshop in Multiparty Negotiation and Conflict Resolution. After studying urban politics and public policy at Stanford, Stefan worked at the Ford Foundation on its Equitable Development team, seeking to disrupt the drivers of inequality and promote social and economic justice, and then served as an NYC Urban Fellow in the Administration of NYC Mayor Bill de Blasio, working with the NYC Department of Transportation. He spent this summer at the Organization for Economic Cooperation and Development (OECD) supporting its Champion Mayors for Inclusive Growth initiative and developing global and comparative data on cities and inequality. Stefan is passionate about good governance, participatory democratic practice, and development that is equal and just.